There's a reason why Grand Forks Subaru is a premier new and used Subaru dealer for Grand Forks, ND. It's because we provide quality automobiles at prices our customers can afford. Our knowledgeable staff will answer your questions, help you find the right new car, and can assist with financing. So if you're looking for a new 2018 - 2019 or used Subaru in Crookston MN, East Grand Forks MN, or Grand Forks County, stop in to Grand Forks Subaru and we'll get you into Outback, Legacy, Forester, Impreza, WRX, BRZ, Crosstrek, or the All-New 2019 SubaruAscent SUV you have been dreaming of. Have questions to ask first? Give us a call. We offer the full line of Subaru cars including the new 2018-2019 Subaru Outback, Legacy, Impreza,and Forester in Grand Forks. 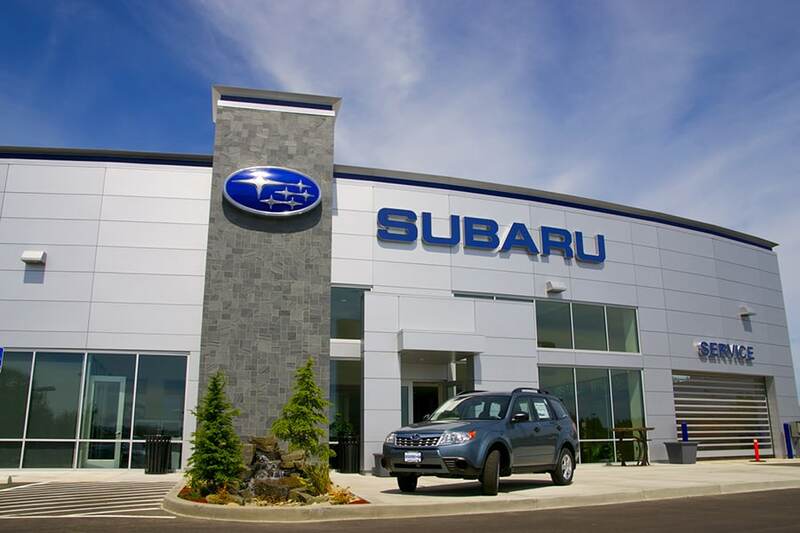 Browse our new inventory page for the new Subaru in Grand Forks that fits your needs. Looking for a used car in Grand Forks that exceeds your expectations? Grand Forks Subaru will find you the perfect well-maintained used car at a great price. With a huge inventory of high-quality vehicles, we are certain that we can locate a used car that suits your taste. Our greater Grand Forks used car inventory has vehicles by many of today's top automakers. If you have not been able to locate a specific new or used car in Grand Forks we are at your service. Complete our no-obligation CarFinder form and we will notify you when the vehicle arrives at our Grand Forks, East Grand Forks MN and Grand Forks County areanew and used Subaru dealership. Need a car loan? No problem! Grand Forks Subaru has a great finance team that will help you get a car loan in Grand Forks to put you in the new Subaru or used car you want. We make the buying process easy by providing the lowest possible rate, so there will be no need to go from bank to bank. Check out the auto finance page to see all of our financing options. Get Subaru car repair in Grand Forks and auto parts from the folks you can trust at Grand Forks Subaru. There's a reason why we are a preferred destination for repairs and service for so many in the Crookston, East Grand Forks MN, and Grand Forks County area. It's because of our superior service, trained mechanics and access to original Subaru car parts. Visit us at 2400 Gateway Drive and join the thousands who already rely on us for their automotive needs. As you can see from the above, Grand Forks Subaru is a full-service Grand Forks new and used Subaru dealership serving Grand Forks County, East Grand Forks MN, and Crookston, MN area. We're dedicated to providing the best service possible, and will assist you through the purchasing process any way we can. Visit us at 2400 Gateway Drive in Grand Forks, ND, and read more about us. Grand Forks Subaru specializes in all-wheel-drive (AWD), SUV, 4x4 cars and trucks and import vehicles (used Honda, VolksWagen, Nissan, Hyundai, Kia, Audi, Mazda, Toyota) and also maintains a large selection of clean domestic makes (GM, Chevrolet, Ford, Chrysler, Dodge, Jeep). We serve the Grand Forks ND, Crookston MN, East Grand Forks MN, Mekinock ND, Eastern North Dakota, and North/West Minnesota. **Located in the former Grand Auto Mart building, 2 blocks from the Ralph Englestad Arena and the University of North Dakota.